We are happy to announce the prize winners for the Special Award for Arabic speaking countries! With the support of Guiddoo, the personalized tour guide, we were able to set up this special prize category to stimulate participation in those countries – the prizes are awarded for the best picture from Algeria, Egypt, Jordan, Syria or Tunisia and consist of vouchers. A special jury with one member from each of the five participating countries in this special category has considered the nominations made by each of the five national competitions to the international finale. More information about the process followed will be published in the international jury report expected tomorrow. 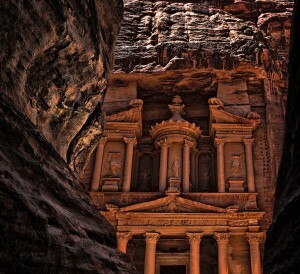 The first prize winner in this Special Category (shown at the top) is a classic picture from the monumental Ad Deir (The Monastary) in Petra, Jordan photographed by JoTB. This remote “Monastary” in Petra was probably in use as a temple, and later used as a church or hermitage – which is visible from the crosses inscribed in the interior. It may have been originally dedicated to the deified Nabatean king Obodas I, who reigned in the 1st century BC. 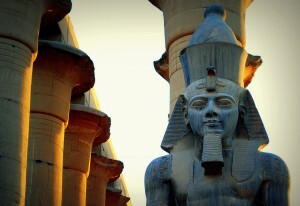 The second prize in this category (see below) is a shot from a statue of Ramses II in Luxor, Egypt. The Luxor temple was built with sandstone from the Gebel el-Silsila area, which is located in south-western Egypt; founded in 1400 BCE. The blue paint is still visible on the photo. The photo has been made by Mohammed Moussa. 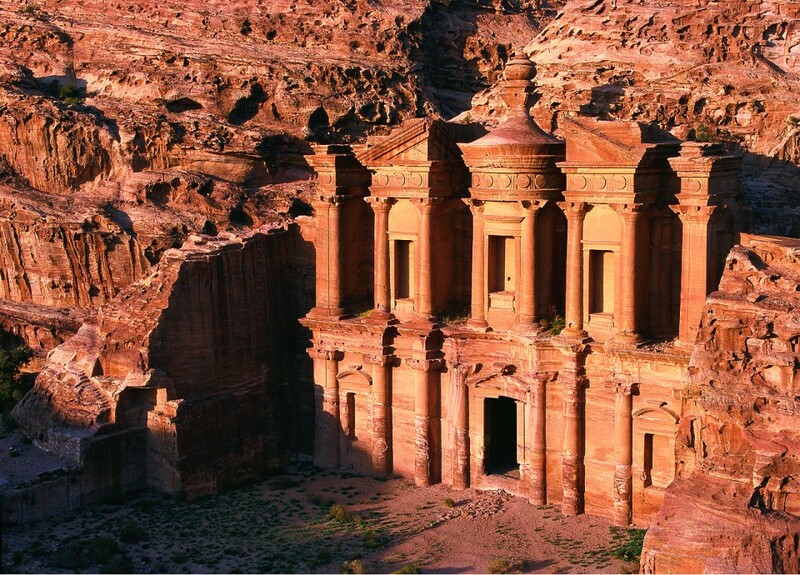 And finally, the third prize in this category (below) is another photo from Petra, Jordan – but this time Al Khazneh, one of the most elaborate temples in the ancient city. The photo was made by Faraheed. Al Khazneh was originally built as a mausoleum and crypt at the beginning of the 1st Century AD during the reign of Aretas IV Philopatris. We would like to thank the jury members of the national juries and the Special Award jury for their work and especially their coordinator Mohammed Bachounda. Also, thanks go to the sponsor that made the Special Award possible, Guiddoo. It’s a bit unfortunate that all of these images are of monuments that have been photographed and uploaded to the Internet a million times before. “Wiki loves Monuments” is best when bringing unknown monuments to the attention of a worldwide audience, and would be pretty superfluous if concentrating on major tourist spots in the world. Congratulations to the “Arabic speaking selection” winners (and participants !). From my point of view, the best selection, showing really beautiful historical monuments.